I didn't get to finish a status today; worked late. But here's an old scribble from my sketchbook. 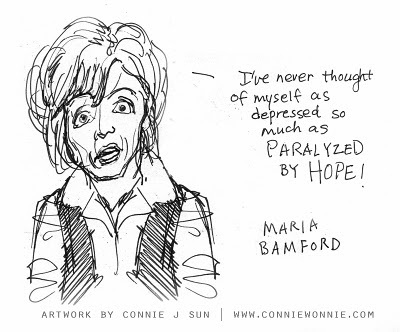 And if you don't know her, here's a short snippet of Maria Bamford awesomeness (00:47). 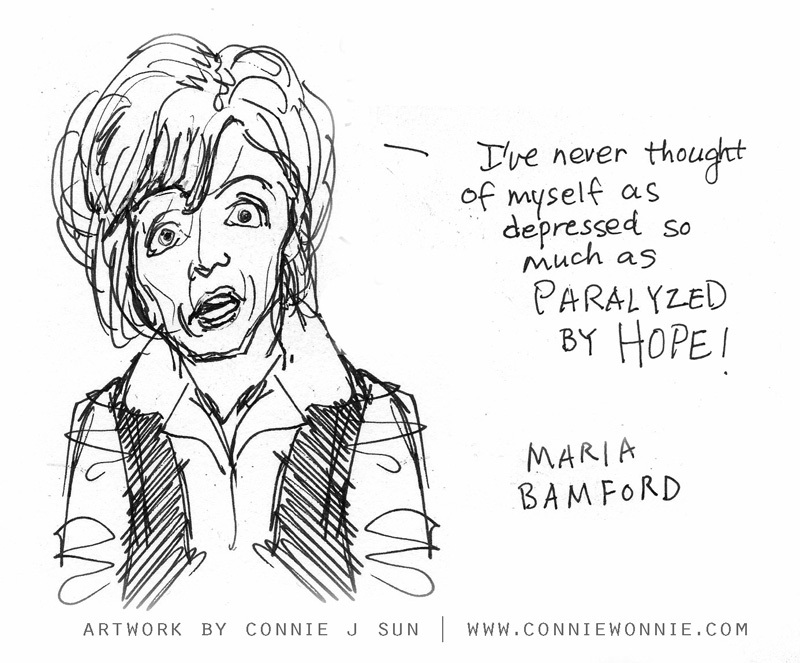 She's one of my favorite stand-up comics.